Within animal ethics, there are two generally accepted views with commonly accepted names: animal welfare and animal rights. The simplest way to parse the difference between these two views is to analyze them in terms of “use” and “treatment.” Animal welfare accepts that it is permissible to use animals in most cases, but that use must be limited by humane treatment; animal rights does not accept that is permissible to use animal regardless of how well they are treated. Speaking in broad terms, the animal welfare position is usually underpinned by an utilitarian ethical theory (e.g., Peter Singer or Paola Cavalieri) while the animal rights position is underpinned by a deontological ethical theory (e.g., Tom Regan or Gary Francione). Both views make reference to their own understanding of the principle of equal consideration, although coming to extremely divergent conclusions. The problem, of course, is what it is that needs to be considered equally. In sum, the standard of treatment is one which minimizes suffering while recognizing that suffering is the only harm an animal can suffer; in other words, it is permissible to kill an animal so long as it doesn’t suffer too much. As a result, modern animal welfare legislation is usually framed in terms of “unnecessary suffering” which is to say that it is legally recognized that “necessary suffering” is permissible. For instance, it is not a crime to kill an animal, but it is a crime if you cause excess suffering during that killing. A recent case in Ottawa is exemplary in this regard: the charge was not in killing a cat, but killing a cat by whacking it on the head five times with a wooden spoon because it stole the accused’s steak. He had chosen to kill the cat otherwise–medical euthanasia or an otherwise less violent method–then there would have been no charge and no crime. Thus, while apparently granting some minimal consideration to animals, the animal welfare position is always organized in such a way that human interests–regardless of how trivial–will always trump animal interests. In this regard, we legitimately call this position anthropocentric. But what about the deontological theory that supports the modern animal rights position? It is true, that in its original formulation by Kant, the deontological theory limited moral consideration to beings of a very particular sort: viz., fully rational and autonomous ethical agents. As a consequence, no animals were included in the category of moral agent and many humans were excluded. For Kant, the treatment of animals is only a consideration insofar as it involves an indirect duty to humanity: “But so far as animals are concerned, we have no direct duties. Animals are not self-conscious and are there merely as means to an end. That end is man. […] Animal nature has analogies to human nature, and by doing our duties to animals in respect of manifestations which correspond to manifestations of human nature, we indirectly do our duty to humanity” (Lectures in Ethics, 239). The modern animal rights position has shifted attention from the usual Kantian concepts to ideas such as “inherent value” and “sentience” thereby setting aside the issue as to whether a given being is rational, self-conscious and autonomous. Julian Franklin revises the categorical imperative as follows, “Act in such a way that you always treat sentience, whether in yourself or in the self of any other, never simply as a means but also at the same time as an end” (Animal Rights and Moral Philosophy, xiii). Superficially, at least, the animal rights position successfully avoids an explicit anthropocentrism. The question remains as to whether or not there is an implicit anthropocentrism in the animal rights position. Given that the categorical imperative, even the rewritten version offered by Franklin, is a dictate of reason, it divides the world into two sorts of beings: those who are able to recognize the force of reason and thus act in accordance with reason and those who are not able to recognize the force of reason and thus are not able to act in accordance with reason. In other words, there are moral beings (i.e., humans of a particular) and there are amoral beings (i.e., some humans and all non-humans). The world is judged, whether from the perspective of pure reason (i.e., the rational limits to logical knowledge) or from the perspective of practical reason (i.e., the rational limits to moral knowledge). Rationality, and the possessor of reason, is thereby elevated over instinct and irrationality. As a consequence, even the animal rights position, which is the only (nearly) mainstream position that takes animals seriously is likewise constrained within an anthropocentric perspective. What if there are two senses of anthropocentrism that are being confused with one another in CAS? That is, what if we could distinguish between metaphysical anthropocentrism, which posits the centrality of humans in the constitution of the world (in effect: no humans, no world) and therefore the centrality of humans in all facet of the world (ethics, politics, aesthetics, etc), and a cultural anthropocentrism, which posits that humans would much prefer to be humans than cows just as cows would much prefer to be cows than humans. SR’s commitment to a world existing independent of human consciousness is certainly correct and CAS is well advised to follow this rejection of metaphysical anthropocentrism. Cultural anthropocentrism, however, presents other problems that are not easily avoided. Let me explain. Much forgotten and mostly ignored anthropologist, Pierre Clastres, distinguishes between ethnocentrism and ethnocide. 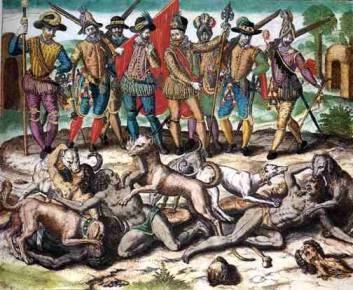 Genocide and ethnocide are closely related concepts. 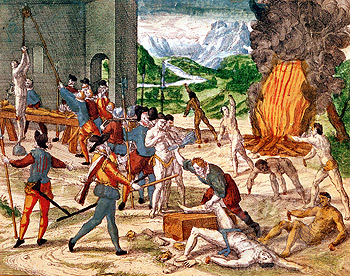 The former refers to the destruction of a race, while the latter refers to the destruction of a culture. “Ethnocide is then the systematic destruction of ways of living and thinking of people different from those who lead this venture of destruction” (44). While one leads to bodily death and the other leads to “mental”death, both share “an identical vision of the Other; the Other is difference, certainly, but it is especially wrong difference” (44). This “wrong difference,” in turn, leads to different sorts of treatment: the absolute evil, at the level of race, must be destroyed, while the relative evil, at the level of culture, must be civilized. Thus, ethnocide is the process of transforming difference into identity. From the perspective of the practitioner of ethnocide, it is an exercise in perfection: the savage is being made civilized and for the good of the savage; but, from the perspective of the victim of ethnocide, it is an exercise in cultural destruction. From one perspective it is benevolent, but from the other perspective it is lethal. Thus, ethnocide rests upon two principles: first, there are cultural hierarchies; second, western culture is absolutely superior to all other cultures. The question then concerns the relation between ethnocentrism and ethnocide: the west, many would argue, is ethnocidal because it is ethnocentric. Clastres rejects this step because most cultures attribute to themselves a name meaning more or less, “men” or “human.” Hence, the Guarani call themselves “Ava” (men), the Guayaki call themselves Arché (persons), and the Waika call themselves Yanomani (people). Similarly, outsiders cannot be, by definition, human (or persons or people) in the same way as the culture designating itself human, otherwise those “outsiders” would really be “insiders.” Consequently, the thesis that the west is ethnocidal because it is ethnocentric cannot be maintained: all cultures are ethnocentric, but only a few cultures are ethnocidal. That is, all members of a culture prefer their own culture to other cultures, but that doesn’t entail that all members of a given culture want to destroy another culture. Ethnocentrism, then, is not a necessary step on the path to ethnocide. The key to understanding the move from ethnocentrism to ethnocide relies upon another institution: one possessed by the west, but which is purposefully absent from savage and primitive cultures–viz., the state. Here we see Clastres’s most well-known distinction: between “societies with a State” and “societies against the State.” A society against the State is one in which the society is structured so as to prevent the emergence of a distinct and autonomous sphere of power from society as such. To use terms from liberal political theory, a society against the State is one in which society as such is organized to prevent the differentiation of “civil society” and the “state.” Or, put in yet other terms, the separation between force and power is resisted. Thus, in these societies, power is organized such that it is not political power as it is understood in State societies. 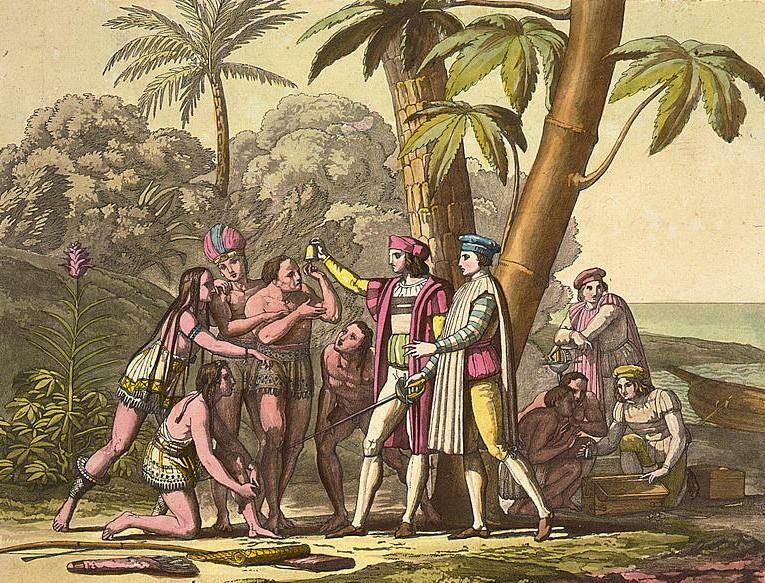 For instance, the social function of the “Chief” does not come to resemble the social function of the “King” until after the discovery of the New World by the Spanish. Summarizing briefly: only societies with a State are ethnocidal, but all societies are ethnocentric. 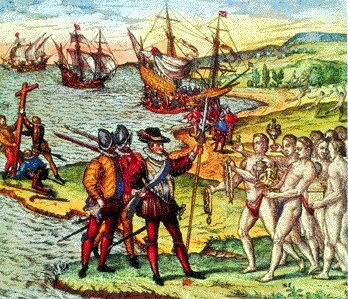 What, then, is the connection between State and ethnocide? The State operates as an institution which separates itself from society through processes of centralization and concentration, which leads to the rationalization of the domains subject to its rule. “All state organizations are ethnocidal, ethnocide is the normal mode of existence of the State” (“Of Ethnocide,” 49). In other words, the State functions as a machine which replaces difference with identity. Consider, for instance, the situation of the Basques or the Quebecois, or numerous other cultural minorities, who resist the standardizing, centralization and concentrating tendencies of the State in the name of difference. The result is that ethnocide is a key weapon in the arsenal of the State: European societies are not only ethnocidal within themselves, but they are also ethnocidal external to themselves. Let us, then, return to the problem of animals. The question, then, is whether or not there is a similar connection between “theoriocide” and anthropocentrism. Again, we can parse this problem in terms of the State. It is plainly evident that societies with a State are also theoricidal societies and, further, that the degree to which the State has established itself as an independent organ of power correlates very strongly with the destruction of animal lives. Recall the earlier numbers, given above, about 53 billion animals used annually, 8 billion of which are killed within the borders of the United States. Further, also recall the connection between racism and animalization: the representation of Jews as rats in Nazi Germany or the representation of African-Americans as apes in the United States (to this very day). Animality is a marker of inferiority in State societies. But, what about societies against the State? Many, albeit certainly not all, societies against the State posit at once difference and identity between animals and humans. Rather than appearing as mere means, animals in many societies against the State appear as ancestors: a human is at once a human and a kangaroo. This system of difference and identity is represented in the totem. Among the economic strategies pursued in societies against the State is the purposive avoidance of surplus and, when a surplus is accumulated, the purposive destruction of the surplus (this is the institution of the potlach). Marshall Sahlins has called this strategy “underproduction,” which leads to the counter-intuitive result that no one goes hungry in societies against the State, but somewhere between one third and one half of people go hungry in societies with a State. The problem, then, that must be addressed by CAS is not the connection between anthropocentrism and theoricide (after all, the savage man just like the civilized man prefers being human to being a cow–even if the savage man is, from time to time, a cow), but the connection between theoricide and the State (which includes not just the political structure, but also the economic structure). These connections, of course, do not justify the slaughter of animals by primitives–an animal should it have rights held against humans holds those rights regardless of whether a human is civilized or savage–but it does condemn the use of animals by societies with a State in a which we cannot condemn societies against the State. The unavoidable conclusion is that anthropocentrism is not our enemy in the domain of ethics. Bentham, Jeremy. Introduction to the Principles of Morals and Legislation, edited by J.H. Burns and H.L.A. Hart. London: Athlone Press, 1970. Callon, Michel. “Some Elements of a Sociology of Translation: Domestication of the Scallops and the Fishermen of St. Brieuc By,” in Power, Action, Belief:A New Sociology of Knowledge?, edited by John Law. London: Routledge & Kegan Paul, 1986. Cavalieri, Paola. The Animal Question: Why Non-Human Animals Deserve Rights, translated by Catherine Woollard. Oxford: Oxford UP, 2002. Clastres, Pierre. “Of Ethnocide,” in Archeology of Violence, translated by Jeanine Herman. New York: Semiotext(e), 1994. Francione, Gary. Introduction to Animal Rights: Your Child or the Dog? Philadelphia: Temple UP, 2000. Franklin, Julian H. Animal Rights and Moral Philosophy. New York: Columbia UP, 2005. Johnson, Jim [Bruno Latour]. “Mixing Humans and Nonhumans: The Sociology of a Door-Closer,” Social Problems volume 35, number 3 (1988): 298-310. Kant, Immanuel. “Duties Toward Animals and Spirits,” in Lectures on Ethics, translated by Peter Heath, edited by Peter Heath and J.B. Schneewind. Cambridge: Cambridge UP, 1997. Regan, Tom. The Case for Animal Rights. Berkeley: University of California Press, 2004. Sahlins, Marshall. Stone Age Economics. New York: Aldine de Gruyter, 1972. Singer, Peter. Animal Liberation. New York: HarperCollins, 1990. This year, for the first time as far as I know, the university at which I teach offered an undergraduate course in animal studies in the Department of Law. (I understand that a second course is being planned by the Department of History.) Fortunately for me, I get to teach the course, the syllabus can be found here. Presently, the course is offered as “first year seminar,” which means that enrollment is capped at thirty-five (hardly a “seminar”!) and is limited to first year students. All first year students in B.A. programs are required to take a first year seminar. As we approach the end of the first semester of a two semester course, I’ve begun to wonder what should be the single take-home message the students receive in a class such as this, especially given that they will most likely not be in a position to discuss animals in any of their other classes as they work their way through a degree. Like most first year students, mine are not prepared to engage in any form of serious thought or reflection–on the whole, they seem more interested in my dietary habits than the material as such. Perhaps that will change as we move into the next semester where we will spend our time looking at “issues” rather than at “theory.” If you were (or are) teaching an undergraduate animal studies course, what do you want your students to get out of it? Parks staff are searching for the second coyote, which will be killed if it is found, said Germaine LeMoine, a spokesman for the Cape Breton field unit for Parks Canada. Many questions come to mind: how will the escaped coyote be identified as the one who participated in the “attack? Further, why is there no inquiry into the probable case that the woman (or another human elsewhere on the trail) acted in some way so as to bring the coyotes to attack? (Coyotes, like wolves and bears, which are most frequently involved in “animal attacks” in Canada tend to shy away from contact with human under the well-known principle: “they are more scared of you than you are of them.”) Subsequent investigation into many “animal attacks” result in showing that the humans were complicit in the “attack” if not outright responsible for it. For instance, in the case of bear “attacks” acting in ways that the bear finds threatening (e.g., trying to scare it away) rather than acting in ways that the bear will not find threatening (e.g., slowly and calmly backing up while facing the bear until you are out of its sight.) What is the principle that leads to retribution of this sort? Has the coyote been deemed to be criminally responsible for murder? If so, why not give the coyote a trial? Why summary execution? How will the response not lead to an open season on coyotes in general? Of course, even in the case where you provoke the attack, intentionally or not, you have the right to defend your life even if that means ending the life of the attacker, this principle cannot be extended into the indefinite future. In my summary, I avoided editorial and interpretative comments insofar as it were possible, focusing instead on the chapter. I would like to take a moment to commend Calarco on his style of writing and exposition, which is admirably clear and unpretentious, unlike so much other writing in “continental philosophy.” I should also like to commend him for keeping citations to a minimum, thus concentrating his attention on the texts at hand rather than on the excessive critical apparatus surrounding his chosen texts. Finally, I should also like to commend him on his style of argumentation, which more closely resembles that of “analytic philosophy,” presenting arguments, presenting rival interpretations, and then presenting the position anew rather than concentrating on never-ending exegesis. In a sense, the second chapter of Matthew Calarco’s Zoographies: The Question of the Animal from Heidegger to Derrida on Martin Heidegger is the real introduction to the book because Calarco identifies Heidegger’s work as “an essential reference and ideal point of departure” for posing the “question of the animal” in relation to modern continental philosophy. While being both “essential” and “ideal,” this should not be taken to imply that Heidegger actually succeeds in posing the question of the animal–let alone adequately–it must be recognized that Heidegger presents a major intervention into the history of philosophy which subsequent philosophers in the continental traditional (rightly or wrongly, I’ll return to this below in my comments) take as “an essential reference and ideal point of departure.” Indeed, the subsequent chapters, on Levinas, Agamben and Derrida, could be read “as an attempt to deepen and extend certain lines of Heidegger’s thought while simultaneously holding open other lines of inquiry that his work brushed up against but ultimately forecloses.” Presented in this light, it is little surprise that Carlarco’s comments on Heidegger are, in his own words, “deeply and, at times, harshly critical.” Like Heidegger’s corpus, this chapter is wide-ranging and of great scope (about forty pages). Consequently, it is not possible to give a complete overview of the argument. Rather, I’ll concentrate on highlighting the concepts in Heidegger’s thought that Calarco engages with. First Analysis: Demising, Dying and Perishing – as is well-known, in Being and Time, Heidegger develops an outline of the various modalities of finitude proper to various beings. Obviously, Heidegger’s primary concern remains with Dasein, the form of being specific to humans, but he often develops the analysis of Dasein in relation to the being of animals, or animality. The analysis of death presents one such example. Dasein relates to death both in the form of “as such,” but also in relation to its own death. Death, for Dasein, occurs in relation to time and being. Hence, when Dasein dies, its life does not simply come to end. This simple ‘coming to an end’ is the form of death proper to the animal, which Heidegger calls perishing. Thus, in relation to death, animals do not have excess to the modes of death proper to Dasein, which implies a significant gap or abyss between the humanity of humans and the animality of animals. Among other reasons, the importance of this analysis of death is important because it demonstrates Heidegger’s willingness to adopt rather dogmatic positions devoid of either sufficient argumentation or scientific evidence. The grounds upon which Heidegger determines that there is an essential difference between the ways in which the lives of humans end and the ways in which animal lives end are not presented or even indicated beyond assertion. Second Analysis: World-forming, poor in world, and worldess – a goal of Heidegger’s early work in fundamental ontology is to set humanist and scientific research on the proper footing. A significant confrontation occurs between philosophy and biology in relation to fundamental ontology. Heidegger wishes to distinguish methods of analysis proper to the being of animals and plants from the methods of analysis proper to the being of humans. Again, Heidegger wish to establish an essential difference between the being of non-human lives and the being of human lives. If the difference is essential, then the methods of study must likewise be essentially different. Here, Heidegger is opposed to all forms of reductionism and thus defends a version of what we might call the relative autonomy in the various domains of life. Thus, the study of plants and animals should not be reduced to the study of physical and chemical processes. Likewise, plants and animals should not be studied in terms of human categories, such as with vitalism or psychology. However, there must be the recognition that humans are, in some sense, animals (biologically, perhaps) and that animals are, in some sense, physical beings (e.g., chemical processes). The question becomes one where physical explanation must give way to biological explanation and where this, in turn, must give way to “humanist” (my word) explanation. Third Analysis: animal rationale – here Calarco turns to a discussion of Heidegger’s lectures on Nietzsche and Parmenides. According to Heidegger’s well-known thesis, Nietzsche fails to overcome the metaphysical tradition, but rather completes it in his analysis of humans as the animal rationale. Nietzsche’s concept of the “will to power” re-arranges the terms of “animal” and “rational,” privileging the bodily, or animal, nature of the human being rather than speaking, discursive or rational part. Thus, the difference here is between “the rational animal” and “animal who is also rational” (my gloss). For Heidegger, this does not present an overcoming of metaphysics, but a playing out of the final permutation. Calarco’s view, here, is that Heidegger is wrong in his assessment in that Heidegger appears to confuse “subjectivity” and “human subjectivity.” For Calarco, Nietzsche is engaged in an attack on the latter, or what he calls anthropocentrism. Here, Calarco cites the well-known passage from “Truth and Lie in a Nonmoral Sense” on the history of some “clever animals invention of knowledge.” The question Calarco would like to pose in relation to Nietzsche (and also Rilke) is the hypothetical: “What would be lost of human beings were somehow to become ‘animal’ and leave behind their ‘higher’ faculties?” Such a hypothetical is a direct attack on the entirety of Heidegger’s project, which seeks to uncover and guard the secret of the essential difference between humans and animals. The importance of this section is that it begins the critical move from “metaphysical humanism and metaphysical anthropocentrism” to a non- or anti-anthropocentric conception of the world where humans become beings among many other beings, opening up the possibility for divergent perspectives upon the world where one perspective is not necessarily privileged over another; e.g., why privilege the human capacity for rational thought over the bat’s radar or the dog’s nose? Why is one way of engaging with the world “better” than another? Fourth Analysis: metaphysical humanism and metaphysical anthropocentrism – the final section turns to a consideration of the connection between humanism and anthropocentrism, a question which Heidegger raises in his essay, “Plato’s Doctrine of Truth” where he notes that the “beginning of metaphysics in the thought of Plato is at the same time the beginning of ‘humanism. '” Here, Heidegger notes the connection between human subjectivity and anthropocentrism under the heading of humanism, which differs from the later account in the “Letter on ‘Humanism. '” At issue is whether humans should be thought of as one of the living beings among many others (which Heidegger continues to identify with biologism) or should humans be thought of in exceptional terms? In fancier terms, what is at issue is whether the being of humans belongs to animalitas or humanitas? Here we return to the question of language: where does language arrive from? Simply put (and not how Calarco explains it, by the way), language does not appear in animals, but it does appear in humans, thus language must arise from something specific to humans. Consequently, it cannot be said that language, that which is specific to humans, arises out of animalitas, but only humanitas. (One thinks of Chosmky’s “universal grammar” as an essential difference between humans and animals.) While Heidegger’s analysis here is moderately novel, Calarco notes that Heidegger has not said anything fundamentally new about the distinction between humans and animals (language is a standard dividing line), thus despite his efforts, Heidegger remains trapped within the tradition of humanism. In this sense, Heidegger also remains trapped within an anthropocentric vision of the world. Admittedly, despite having gone through a Nietzschean-Heideggerian phase late in my undergraduate education, I am not especially knowledgeable of Heidegger’s works beyond the classics; e.g., Being and Time, “The Question Concerning Technology,” “Letter on Humanism,” “The Origin of the Work of Art,” and “The Age of the World Picture.” Certainly, more than I’ve read of other important philosophers, but limited in the context of Heidegger’s own thought. Another influence in my intellectual development (for better or for worse) was an engagement with Alexandre Kojeve’s lectures on Hegel, which were just as influential on subsequent continental philosophy as Heidegger’s thought. As is well known, students in Kojeve’s lectures were a veritable “who’s who” of French thought including, for instance, Georges Bataille, Jacques Lacan, and Maurice Merleau-Ponty. In his lectures, Kojeve considers, among other things, the relation between time, death and history, including an extended engagement with the differences between human and non-human life, such as in the lecture “The Idea of Death in the Philosophy of Hegel.” The question I would pose in this context concerns the possibility of writing a different history of the animal in light of Kojeve-Hegel rather than in light of Heidegger. What would the question of the animal be in the context of Merleau-Ponty’s phenomenology of perception? of the flesh? or Georges Bataille’s work on sacrifice, excess and death?